As the bandwidth request for traffic streams grows excessively, traffic grooming on wavelength-division multiplexing (WDM) mesh networks becomes more important. In general it efficiently grooms low-capacity requests onto high-capacity lightpath. Thus network throughput and cost is improved. Also it affects the recent development of WDM passive optical network(PON) and the future fiber to the home(FTTH). Our objective is to improve the network throughput while maintaining the similar level of network cost. In this paper, we propose Dynamic Ordering on Lightpath Assignment (DOLA) algorithm, in which an order of lightpath assignment is determined according to the network availability. 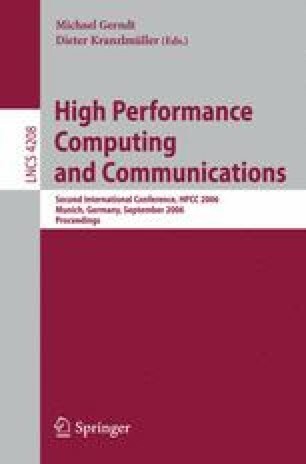 The comprehensive computer simulation results show that our proposed algorithm is up to about 14% superior to the well-known previous work .